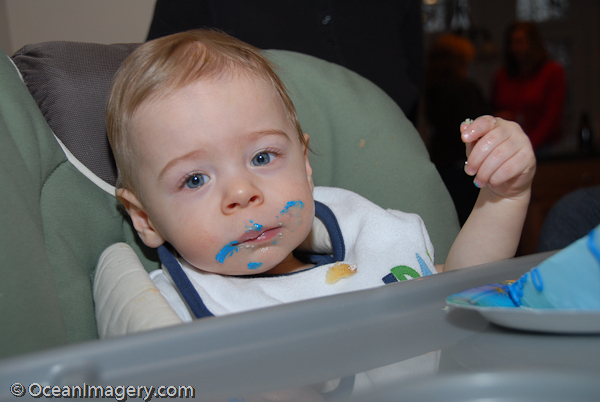 Master Dylan, on his first birthday, having his cake and playing with it too…! I’m finally getting up some photos from Dylan’s very first birthday party. I think it kind of turned out to be more of a party for the adults than for Dylan and the other kids that attended, but our sons first full year on the planet is an occasion worth going a little over board on! One personal note for future events…. no more blue cakes!! !